two 2019 honda models roll into dealers this week: the honda accord and a hatchback version of the newly updated civic, including the nameplate's high-performance type r. each car drops one variant for the new model year, and price hikes range from zero to $1,000 on the civic hatchback and $150 to $400 on the accord. the accord goes on sale today, while the civic hatchback hits dealerships saturday. the latter car joins the civic sedan and civic coupe, both similarly updated for the 2019 model year; the other two body styles are currently on sale. 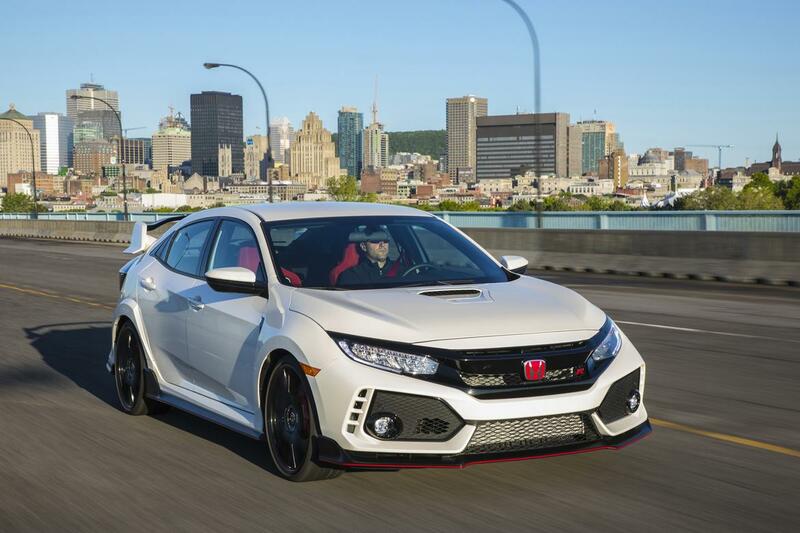 go here to read the major changes to the civic coupe and sedan, or go here to see what changed on the civic si — a performance variant that slots below the type r.
pricing increases $500 on the vast majority of civic hatchback trim levels amid the addition of honda sensing to all but the high-performance type r trim. honda sensing is a suite of safety and self-driving features that include forward collision warning with automatic emergency braking, lane-centering steering at higher speeds and adaptive cruise control all the way to a stop. last year's entry-level civic hatchback, the lx trim with a manual transmission, is gone for 2019. that means the lx with a continuously variable automatic is the cheapest way to get into a civic hatch, at $22,345 (all prices include a destination charge). that's up $500 over the price for last year's lx with the optional cvt. stick-shift fans can get the next-higher civic sport hatch, which runs $23,145 with the manual or another $800 with the cvt. three higher trims are all cvt-only, culminating in the civic sport touring hatch ($29,645), which sees no price difference because last year's model had honda sensing standard. seeing as honda sensing was a $1,000 option on most trims and wasn't even available on the sport, the $500 increase marks a value move for some must-have tech. but that's not all: the civic hatchback, like its sedan and coupe siblings, also adds much-needed physical controls for the multimedia system in higher trim levels, plus a few other tweaks — among them simplified steering-wheel audio controls, larger cupholders and easier bluetooth pairing. 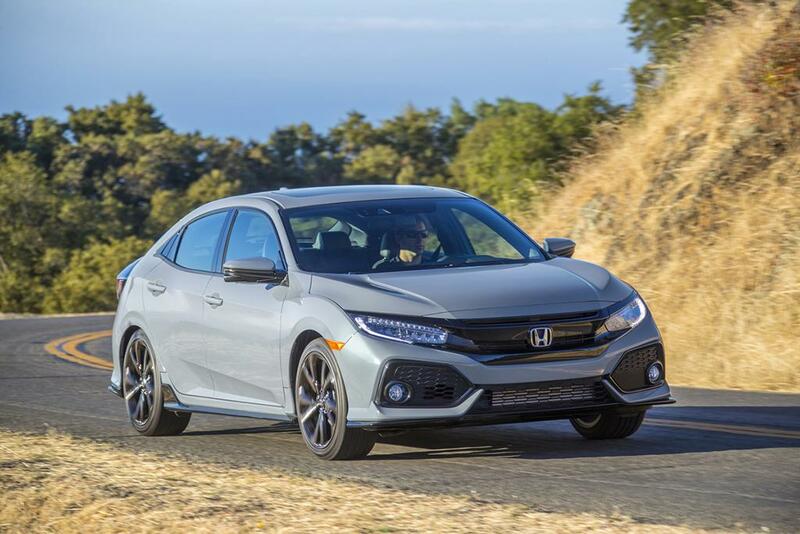 what doesn't change is styling: unlike the coupe and sedan, which both received updated grille and bumper treatments, the civic hatchback's exterior carries over. pricing is up $1,000 on the civic type r, which gets the interior updates but no honda sensing. available only as a hatch, the type r continues to pair a 306-horsepower, turbocharged 2.0-liter four-cylinder with a six-speed manual. it also gets adaptive shock absorbers and considerable styling differences, including aggressive ground effects and an enormous rear wing, versus lesser civic hatchback trims. the accord rolls into dealerships today amid a backdrop of struggling sales for non-luxury family sedans: four years ago, a dozen nameplates accounted for nearly 14.5 percent of overall new-car sales, by automotive news' tally. through the first nine months of 2018, the group is down to 10 nameplates and just 8.7 percent of overall sales. 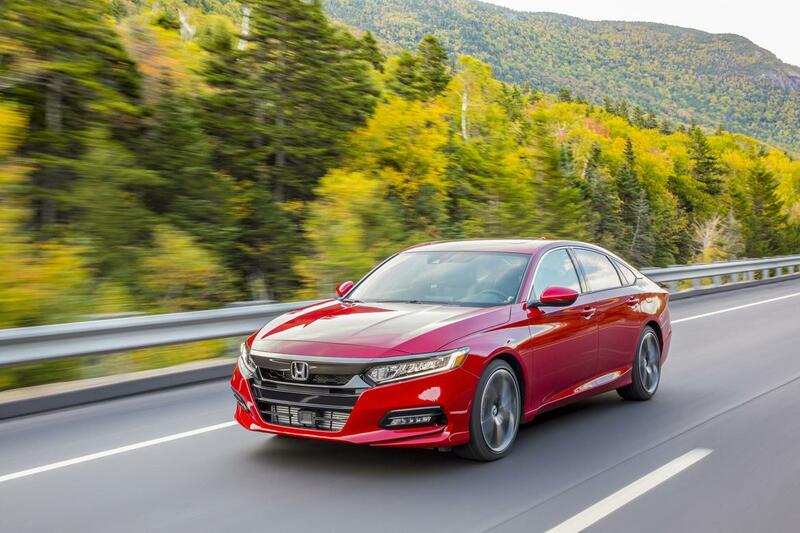 little changes on the accord for 2019, but pricing is up $150 to $400 depending on trim level. in ascending order by price, trim levels are the lx, sport, ex, ex-l and touring grades. engine choices are a 1.5-liter or 2.0-liter four-cylinder, both turbocharged. the 1.5-liter used engine (192 hp) pairs with a cvt, while the 2.0-liter (252 hp) gets a 10-speed automatic. good news for stick-shift fans: the accord sport also offers a six-speed manual with either used engine - a rarity in any sedan, let alone a mid-size family car. pricing is up $400 for the sport and $150 for all other trims. 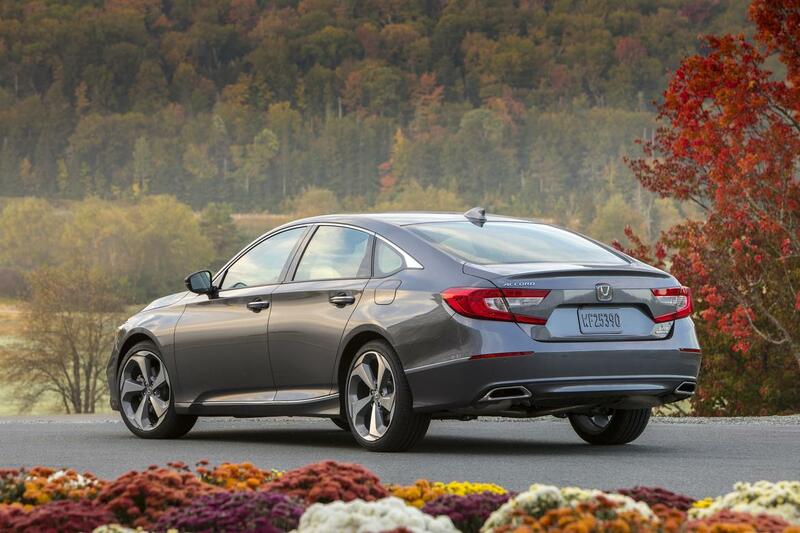 as such, the accord starts at $24,615 and tops out at $36,845 before trim-specific options or accessories. of note, you can no longer get the accord touring with the 1.5-liter used engine ; it's now 2.0-liter only. the accord hybrid, meanwhile, pairs an electric motor with a non-turbo 2.0-liter four-cylinder for a combined 212 hp and epa-rated 48 mpg across the board for its city, highway and combined figures, honda says. like the non-hybrid accord, it carries over with minimal changes. 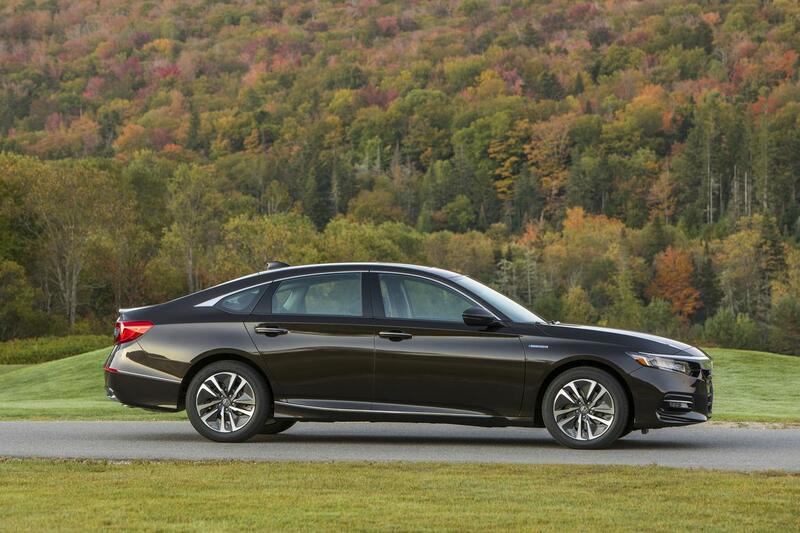 available in base, ex, ex-l and touring trims — the base model is simply called the accord hybrid — the 2019 model is up $220 to $330, trim depending.